Dr. Cabral is originally from Quincy and attended college at the University of North Carolina at Chapel Hill, where she obtained a B.S. in Biology. She graduated from Tufts Cummings School of Veterinary Medicine in 2016. She then completed a small animal rotating internship at the University of Florida. 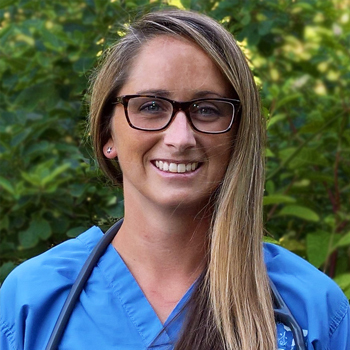 Throughout veterinary school and her internship, she developed a passion for emergency medicine and surgery. Dr. Cabral returned to Massachusetts to join the Tufts VETS team as an emergency clinician.